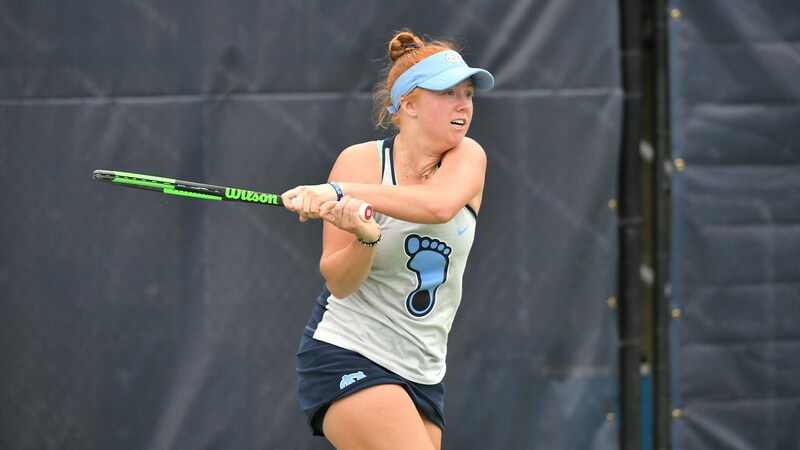 Make it 16 consecutive victories for the top-ranked UNC women’s tennis team, as the Tar Heels clinched a share of the ACC regular season title on Friday in Atlanta with 4-1 victory over the Georgia Tech Yellow Jackets. UNC is now 25-1 overall and 13-0 in the ACC. The Tar Heels also remained undefeated in doubles competition as they took the opening point, before getting singles wins from Sara Daavettila (6-0, 6-0), Jessie Aney (6-1, 2-6, 6-4) and Makenna Jones (6-3, 6-4). to clinch the team win. UNC will close the regular season on Sunday at 1 p.m. against Virginia Tech on the road.